Today marks the first day of “Breast Cancer Awareness” month . While we’re being bombarded with pink ribbons, it’s good to understand how an employees with cancer function in the workplace. This infographic found in Cure Magazine is a great resource. There 12 million cancer survivors in the U.S., one-third are under the age of 65, the traditional retirement age. Almost half those surveyed continue working during treatment in order to “feel productive”. So what’s an employer to do? Of course, we all know how to follow the rules of the ADA, but flexibility is the key. Flexible hours, flexible workplace, flexible deadlines. Chemotherapy and radiation are incredibly tough on the body and the mind. A little compassion goes a long, long way. And it pays off in the end with employee loyalty. Trust me. I know about these things. 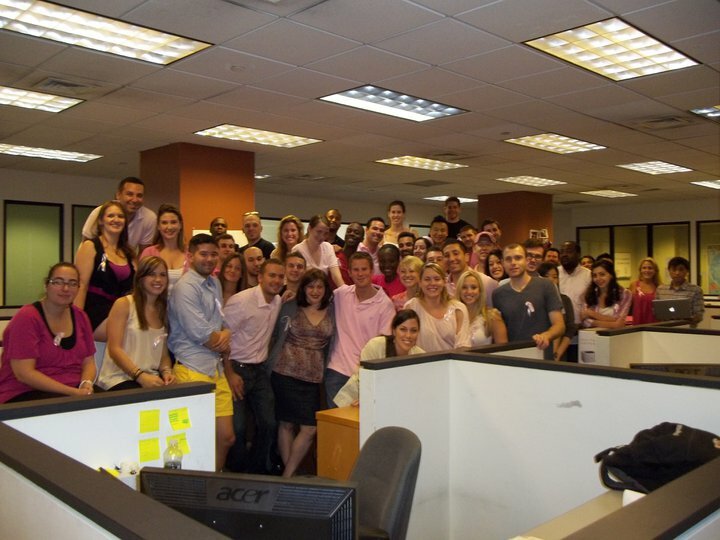 Below is a photo of my incredible co-workers who supported me through treatment in 2011. I’m the one in the wig.